I reviewed these whiskies in December but the post never was uploaded for reasons outwith my control. I am now uploading these but I can still recall the aromas and flavours. just to be clear the timing has nothing to do with the tax year. 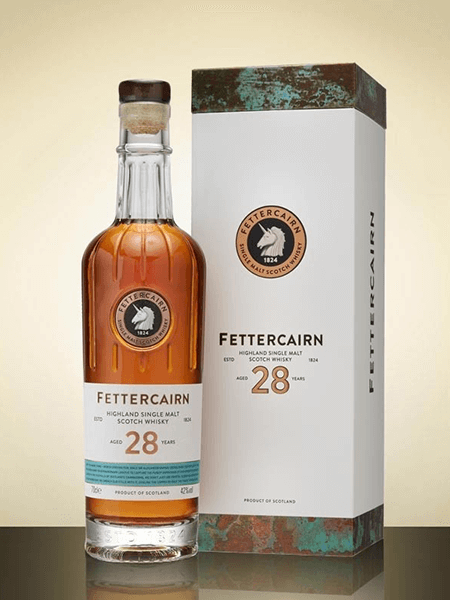 I previously reviewed a single cask Fettercairn 8-year-old from Hepburns. I loved the spirit contribution so what I wondered could the barrel choice and maturation add to this fantastic base. When I was a wine ‘expert’ a common theme was from those who tasted the most expensive wines, Latour, Lafitte and Mouton Rothschild was to report that you could not tell the difference from a £7.99 supermarket Shiraz. You could, but you needed to taste enough different wines to tell the difference. I have tasted a Latour that was poor and the 1986 Rothchild which was awesome and had many other similar experiences. 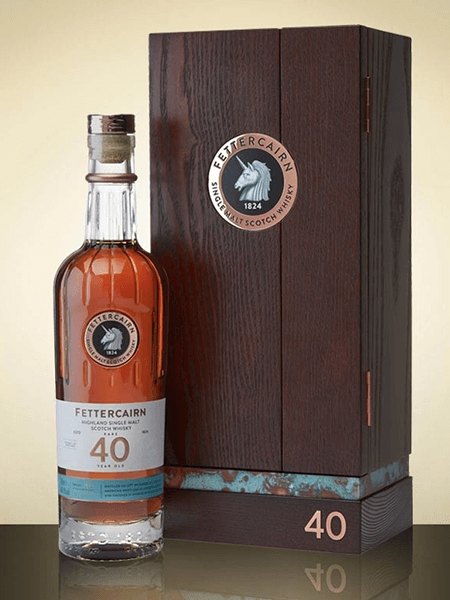 When I was generously invited to tase the 50 year old Fettercairn, distilled in 1966, I was excited, but of course the preconceptions of others echoed in my mind. Old whisky can be so woody. Price is no indicator of quality and so on. 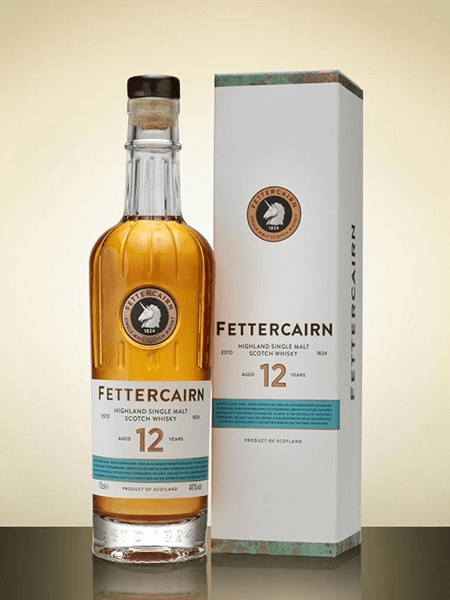 Fettercairn is an Eastern Highland distillery with a special place in my heart. Generations of my mothers family from my 3x Great Grandfather back were crofters in Glem Esk the next valley to Fettercairn so raised their crops and livestock on the same bright fresh clear water for which Fettercairn is famous. My best man lives in a tiny village on the B road which ends at Fettercairn. As a child we frequently drove across the Cairn O’Mount road, past the distillery. 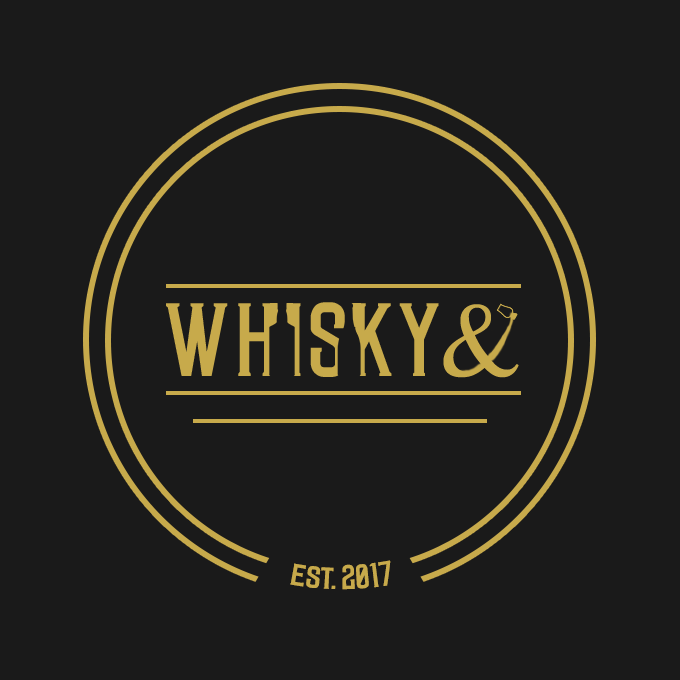 I had recently reviewed the 8 year old which was a fantastic whisky, young of course so spirit led but crisp, floral and complex. So I knew the spirit quality that the water showered stills produced. We started with the 12 year old. The 12 was even better than the 9 with the excellent cask leaving a great impact on the whisky. Palate: Vanilla, milk chocolate, caramel, pears, cherries, orange, a hint of leather, pepper, cinnamon, nutmeg, coffee, the spirit is the lead the cask the chorus displaying great balance, heading to raisins and treacle on the finish. I loved this whisky and have bought and enjoyed it. We next tasted the 28 year old. A good age so I was expecting a round full bodied dram. Palate: treacle loaf, dates and nuts, rich tea biscuit, melon, oranges, pears pepper, cloves, oak but not too much. Coffee, mocha, balance of sweetness and savoury. Some tasters and the distillery notes talk of balsamic notes which I agree with. This was a great whisky without doubt. I enjoyed it and if you take it with other 30 year olds it certainly held its own and as a choice between them it would be a matter of taste. 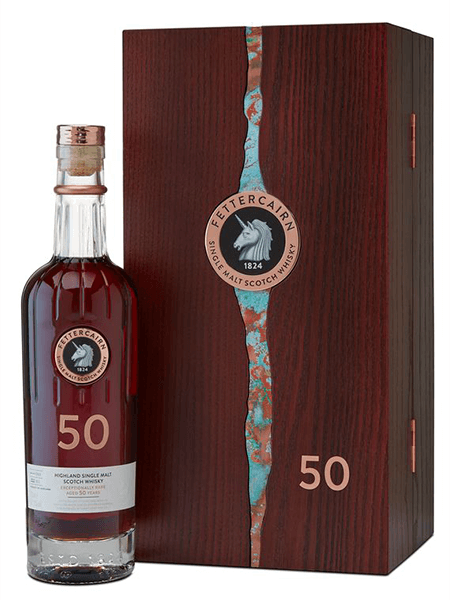 If you can afford £500 for your whisky (I cannot) you would not be disappointed . I really like Fettercairn so would rate this highly. These were both unmistakably well rooted in the younger expressions and managed to keep the excellent spirit quality without the wood in any way overwhelming the aroma and palate. The maturation substantially improved these whiskies. No doubt. Aged whisky is a feature of your taste and your wallet. If you love aged whisky these are fantastic in every way. Palate: treacle, sherry, coffee, walnuts, honey, marmalade, banana, citrus, pepper, ginger and cinnamon, malt extract, liquorice, balsamic, leather, amazing mouthfeel, lips, tongue and mouth different flavours everywhere. I could have kept listing flavours and am confident that there would be a new taste sensation in every dram tasted. I have rarely if ever found so much variety in single dram but then I do not often taste a 40-year-old whisky so this was a fantastic treat. I cannot say I would buy it as I cannot. I would frankly need to win the lottery before this entered me price range. If you are so blessed then grab a bottle and celebrate your good fortune but share it with friends! As someone on the tasting commented ‘it is not whisky until it is shared’. I could not agree more about this sentiment. I never enjoy a dram is much as when I drink it with family and friends. The time for tasting the 50 year old was drawing close. This expression can be purchased for £10,000 even further out of my price bracket but a genuine privilege nevertheless. 50 years of liquid history breathing in and out of the excellent White Oak ex bourbon barrel, finished in a port pipe. 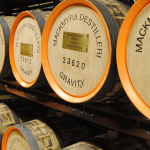 Resting in the dunnage warehouses supervised and cherished by master distillers over 50 years. This was whisky history. I have memories of the year it was distilled and many many happy memories of the intervening years. My marriage, the birth of my children, sports triumphs and set backs, extraordinary work moments, life disasters births and deaths. During all of which this glorious malt lay resting and morphing in its cask. It is an extraordinary thought that 50 years of my life during which I drove past its warehouse many times, is encompassed in this whiskies maturation period. I recently spotted a bottle of this selling for £18,000 the 40 year old was still around £3000 and in both cases stocks are very limited. Nose: Dusty old wood, prunes, dark chocolate, brambles, plums, black cherry walnuts, leather, polish, cardamom, a hint of tar, prime rib! Palate: Treacle, ginger, pepper plums, citrus note, fig roll big time, fine old port, coffee, liquorice, tobacco, so many flavours yet never overwhelmed by the wood, just enriched, nicely spiced. It was a darker more earthy aroma and taste than the 40 year old which is the best whisky to compare it against. Some tasters preferred the 40 to the 50. I noted that the 50 just edged it in quality but for price the 40 has it. But at these prices you probably do not care. If you don’t then buy the 50-year-old you get it in a nice wooden case. It is sad that these superb expressions are probably wasted on those with little to compare them with. I must thank Fettercairn a White and Mackay Distillery for their generosity which allowed 30 or so whisky enthusiasts to really appreciate a couple of drams of this timeless classic and of course Steve Rush of tweet tastings once again for this exceptional treat. I enjoyed the experience a great deal, you can probably tell, as much because it was shared with others I know well if only online. I did keep the second dram to share with a close family friend who despite being very well known in whisky circles and contributing a great deal, rarely gets such an opportunity. I will enjoy its sharing as much as it wondrous taste.